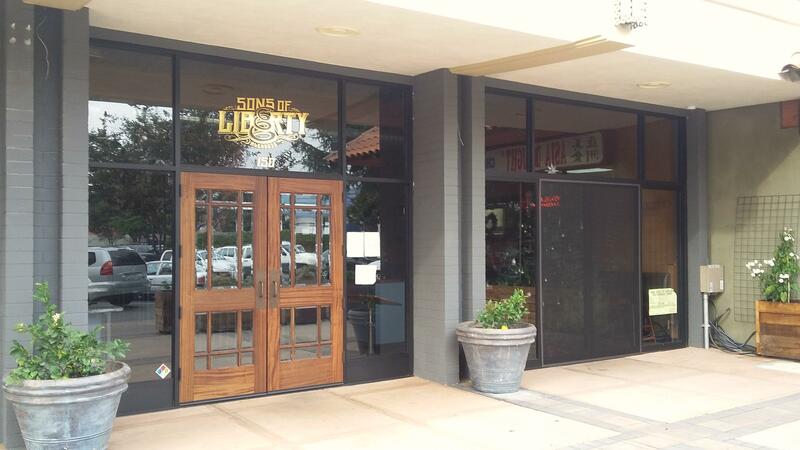 Sons of Liberty Alehouse is Now Open! The highly anticipated Sons of Liberty Alehouse is now open in the location of the former Sergio’s Pizza at 150 W Juana Avenue. 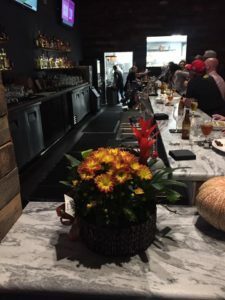 The space has undergone a significant transformation, and the restaurant invites San Leandrans to stop in for some quality beer and elevated pub fare. In addition to investing a significant sum on the interior, Sons of Liberty also participated in the City’s facade improvement program to give the exterior a notable face-lift and provide an outdoor seating area. The kitchen offers interesting choices, from oysters and poutine to crispy fried Brussels sprouts and duck carnitas. If beer or wine is not your thing, Sons of Liberty can mix up some interesting cocktails, such as Carter Beats the Devil, “So Here’s the Thing,” Flannel Shirt, and Temezcal. The interior atmosphere is elegantly rustic and provides a variety of seating options. Sons of Liberty is open for lunch and dinner, and with close proximity to the Downtown parking garage, quite conveniently located. I am from the DRO. this is good, really good. nice to see new things in SL. My city. when people doesnt want to venture out too far, to let say, san francisco, and afraid of oakland, guess where they venture out? yup, my city of San Leandro, California. Duck carnitas! Excellent!!! Extreme excellent. Brussel sprout salad – very good, the burrata was a bit too much, I was hoping it was a poached egg…. maybe in the future! Great ambiance, great food, great drinks…so glad this space is being used to our benefit. I can’t wait to check this place out. Thank you for investing in San Leandro. San Leandro is becoming a great City with more variety. Friends swear by SOLA’s duck carnitas. I’m a fan of fish and chips, and for me it’s a highlight of the menu at SOLA. The Englander needs to step up to this quality – they were my former go-to for fish and chips. Sadly the Englander has trended down in recent years, leaving an opening for SOLA to fill. I think the management of SOLA has history with The Englander, and competition is a good thing. Thank goodness another Taco Bell did not move into that space. Does San Leandro have more Taco Bell’s per capita than any city? Discuss. Is Taco Bell moving into the doomed Arby’s near Bayfair? Or are they just using the Arby’s chain link fence to post “now hiring” signs?